Somehow my blog has gained a lot of new followers lately. To thank you all for your support, I am taking part in the Best Book Ever Giveaway Hop hosted by The Best Books Ever & I Am A Reader, Not A Writer. You may know this New York Times Best Seller by its US title, Shadow and Bone. Same book, but here I’m giving away the gorgeous UK edition! This giveaway is, as always, international. The giveaway is open until Monday 10th June 2013 at midnight (BST time). To enter please fill in the contact form below with your name and email. If you follow my blog by email or WordPress , if you are a Twitter follower , if you like my page on Facebook or if you tweet about the giveaway, this will grant you an extra entry. Mention it below. 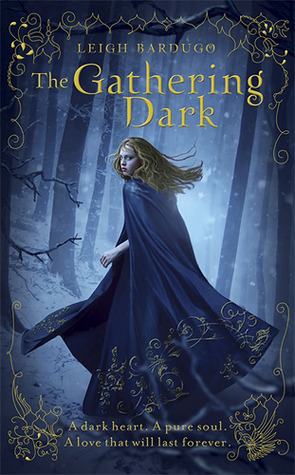 This entry was posted in Uncategorized and tagged book giveaway, EM Castellan, epic fantasy, fantasy, High Fantasy, Leigh Bardugo, Shadow and Bone, The Gathering Dark, YA Books, Young Adult literature. Although I love the US cover, the UK cover is gorgeous. Thanks! It has a different cover than the U.S. one, could that be? I like this one better.